His coming out yesterday did not go unnoticed. 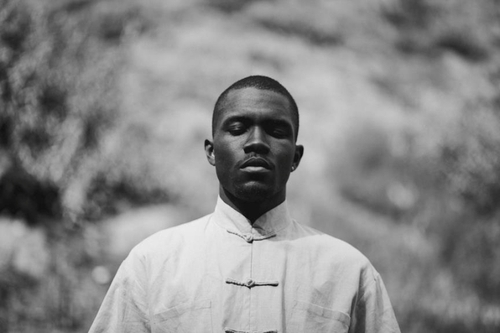 Frank Ocean, an R&B singer and member of the Odd Future hip-hop collective, openly discussed his bisexuality via an open letter on his Tumblr, where he describes the summer during which he met and fell in love with another man (his first true love) at 19, and subsequently had his heart broken. And that’s how the 24-year-old became “a free man” on America’s 236th Independence Day — and in doing so, made sure he will be remembered. We suppose what drove him to do it that way was the same sort of thing that drove Anderson Cooper to come out via an e-mail to The Daily Beast‘s Andrew Sullivan on Monday, July 2. It was an email, not a carefully orchestrated TV interview with Oprah or somebody, where it’s all about the lighting and the soft music and where, in the process of editing, they could leave some of his words out. 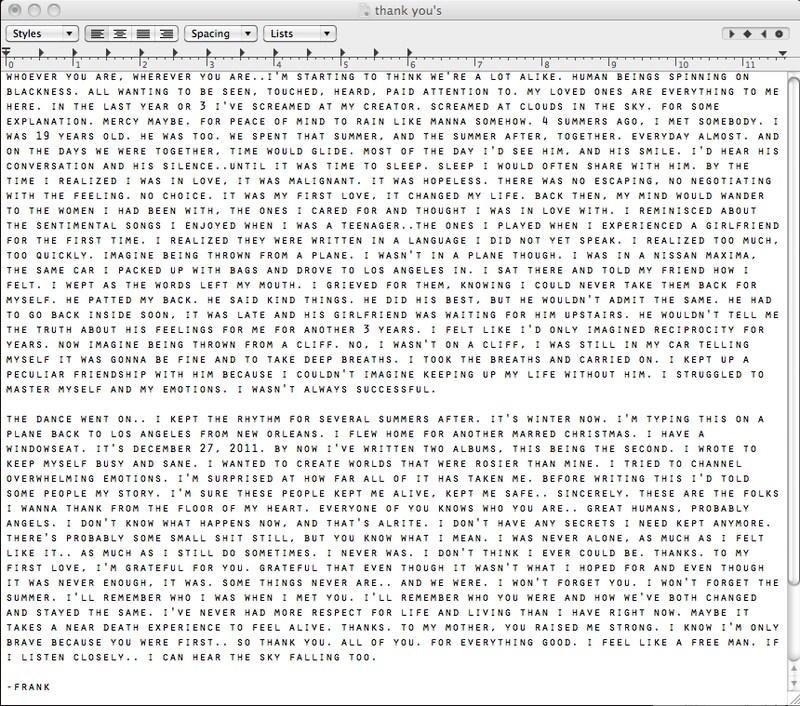 Frank wrote this so he can say everything he needed to say in the way he wanted/needed to say it. And so that the words could live forever, have the biggest impact possible, over time and space. It’s a feeling many of us can relate to. Since the letter, which is poetic and heavy and memorable — “To my first love, I’m grateful for you,” he writes, “grateful that even though it wasn’t what I hoped for and even though it was never enough, it was. Some things never are. And we were.” — everyone has been weighing in on what this move means. Not surprisingly, as much praise as Ocean is getting, he has also inspired the opposite reaction. A parody Twitter account has been created which is full of insults and is extremely upsetting to read.